Our guide to Philadelphia will help you find the best bed and breakfasts in Philadelphia Pennsylvania. Historically speaking, Philadelphia is a city of superlatives: the world's largest municipal park; the best collection of public art in the United States; the widest variety of urban architecture in America; and according to some experts, the greatest concentration of institutions of higher learning in the country. There are tons of great bed and breakfasts in the city of Philadelphia, our city guide will help you find the best bed and breakfasts. You may have a hard time deciding what to do in Philadelphia, but we make your decision easy. There are plenty more bed and breakfasts in Philadelphia. 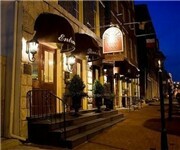 See all bed and breakfasts in Philadelphia Pennsylvania.